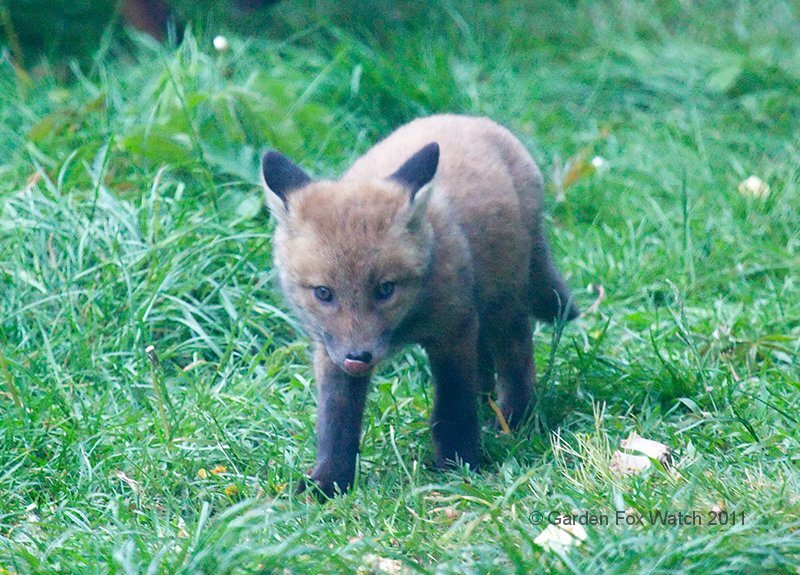 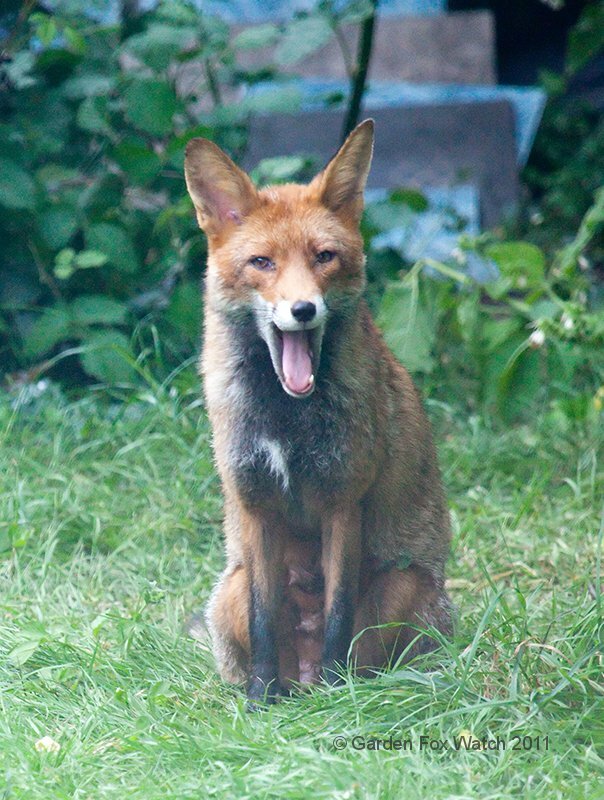 April 29th was an especially good day for pictures of fox tongues, it turned out. 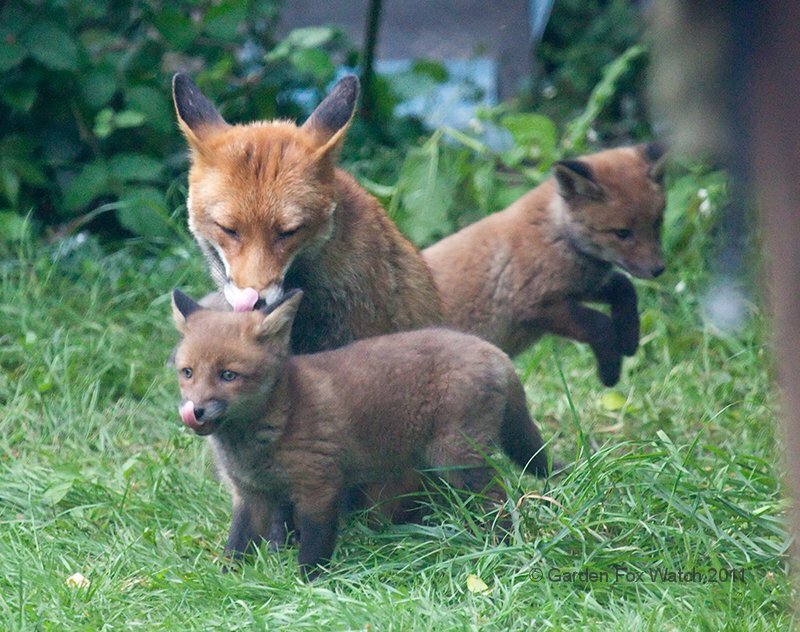 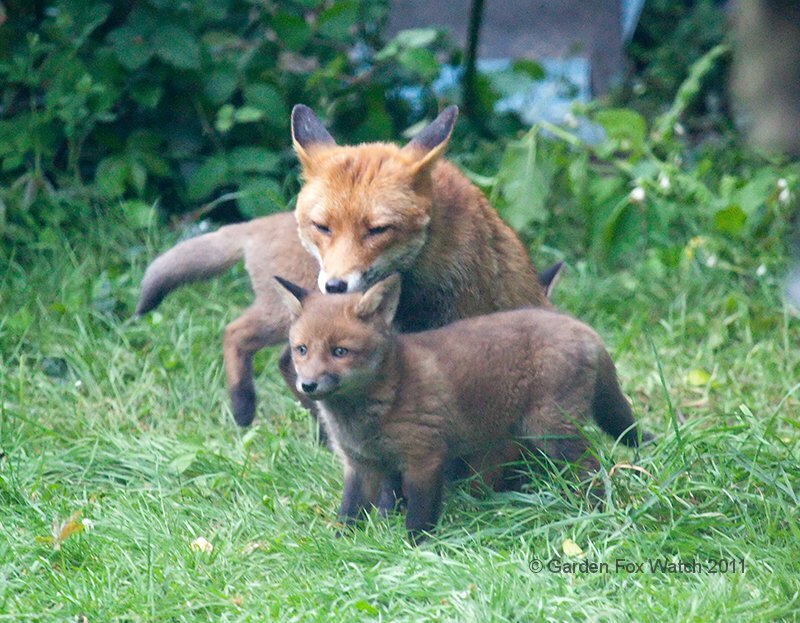 Baby foxes, mother foxes… sometimes both at once. 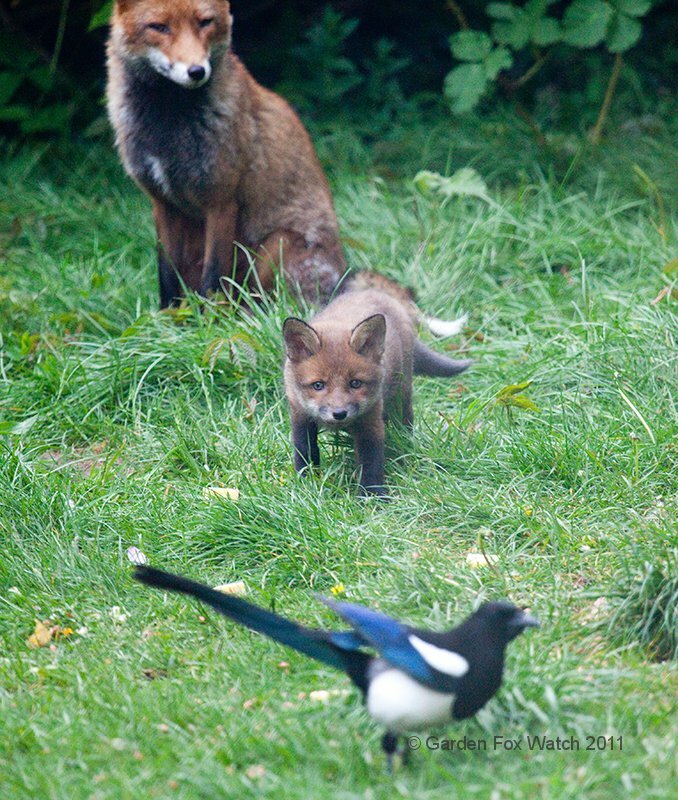 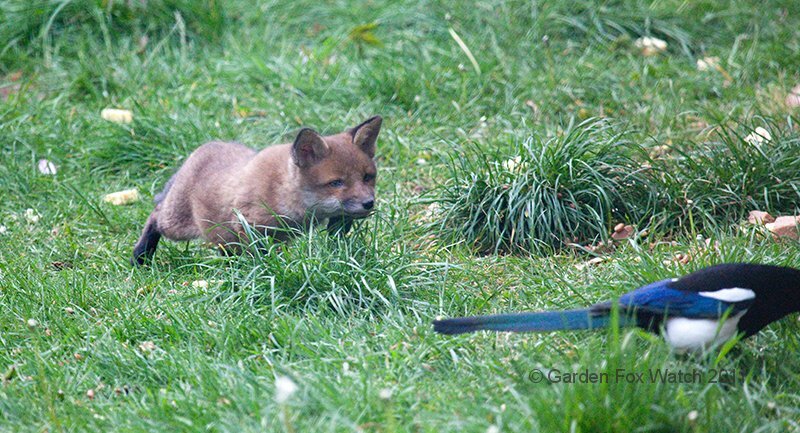 Also, one of the cubs was practising his stalking skills on one of the local magpies — unsuccessfully, but then they usually are.